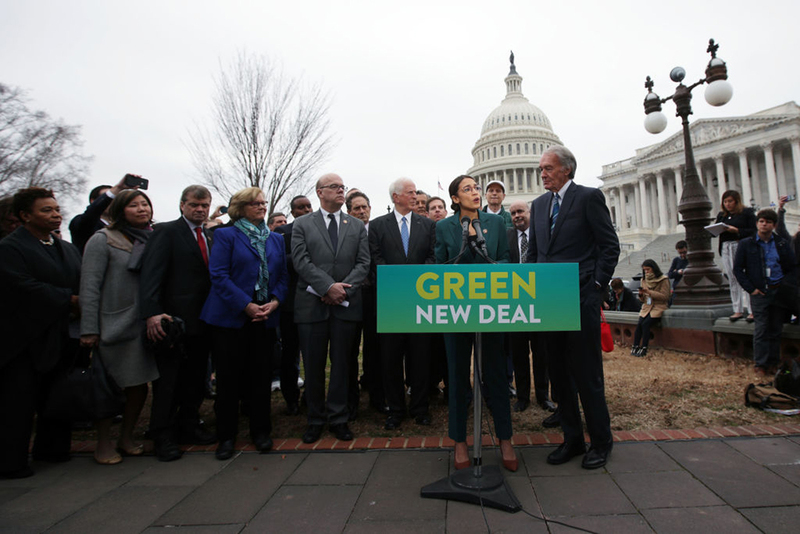 Rep. Alexandria Ocasio-Cortez (D-NY) and Sen. Ed Markey (D-MA) released their “Green New Deal” proposal on Thursday, outlining a radical agenda to transform the economy and eliminate all U.S. carbon emissions. Jonathan Lesser and Robert Bryce respond. The non-binding resolution for a “Green New Deal,” which was released by Rep. Ocasio-Cortez (D, NY) and Sen. Markey (D-MA) reads like a teenager’s “Dear Diary” entry for a perfect world, where everyone is entitled to all the ice cream they want, and a pony to boot. 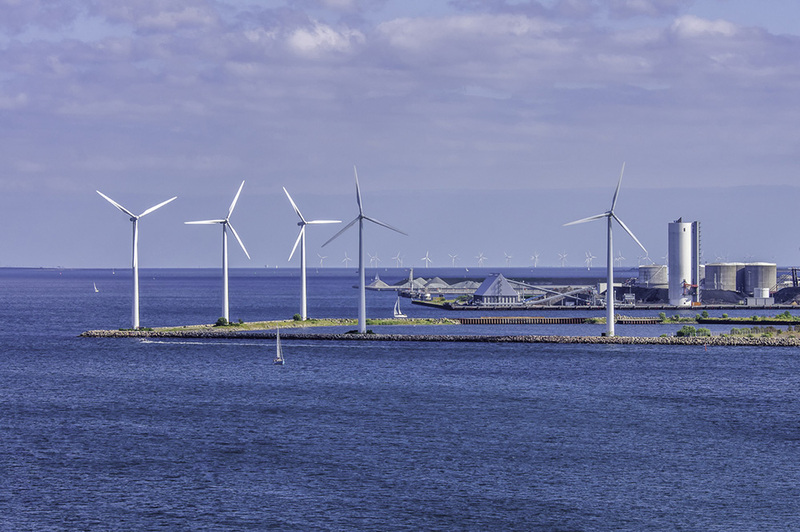 As my recent column in The Hill discussed, moving to a wind and solar-based, greenhouse-gas free economy by 2030, or anytime in the foreseeable future is impossible, barring Star-Trek like discoveries of new energy technologies. Of course, the Resolution goes further than just promising pollution-free energy. It promises everyone a high-paying job, free health care, free education, a guaranteed income, and guaranteed vacations. Plus the aforementioned pony. The Resolution reads like Venezuela’s constitution, which enshrined all sorts of “rights” to its citizens. That’s certainly working out well. One curiosity in the Resolution is its call for overhauling transportation systems (to be pollution-free, of course) and investing in high-speed rail. But if ever there was a transportation boondoggle, it is high-speed rail. California’s deservedly-maligned high-speed rail system is now projected to cost $100 billion, if it is ever finished, more than three times the original cost estimate. It would make more sense to resolve that a Star-Trek transporter will be developed by 2030 to move everybody instantly. Beam me up, Scotty! 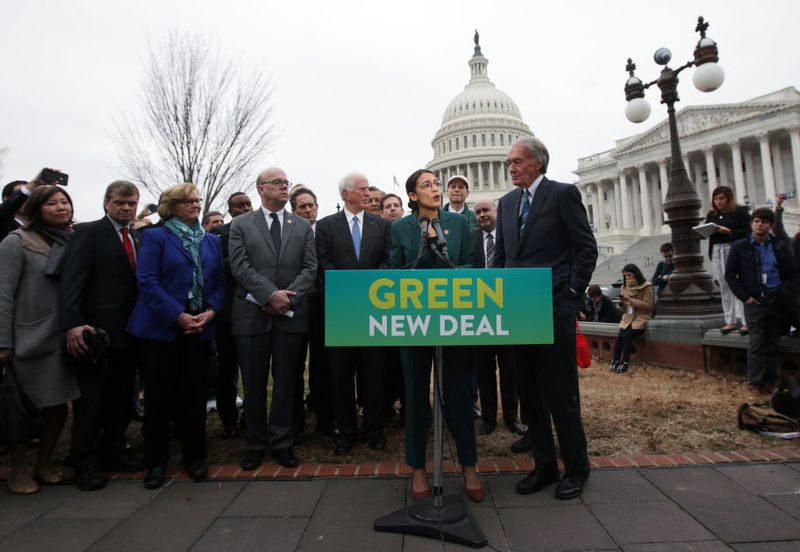 The promoters of the Green New Deal have forgotten what the New Deal was about. FDR, Sam Rayburn and the others who pushed for rural electrification back in the 1930s did so because they wanted lower-cost electricity for rural customers. 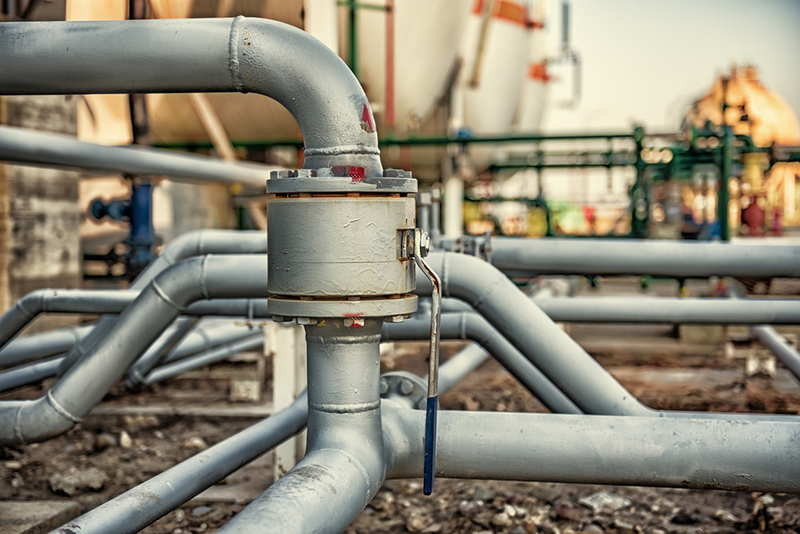 The proposal being pushed by Alexandria Ocasio-Cortez and Ed Markey will result in massive increases in energy costs for consumers across the country. It will also require covering vast swaths of rural America with wind turbines and transmission lines at the very time that states from Maine to California are rejecting those same projects.